Spanning a grand eighty-four inches wide, this TV console presents ample storage area for the living room and entertainment area. A balanced blend of concealed and openly accessible storage is provided by four door cabinets, two open storage pedestals and an open center shelf with a recessed divider for sound bar use. 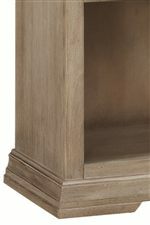 The case is crafted from poplar wood solids and birch veneers in a weathered and bleached "Driftwood" finish that emanates a natural beauty certain to transform your decor. The two center doors feature wood-framed glass doors and open to a single storage area with one shelf, while the side doors feature solid wood fronts for storing media and clutter. Add the coordinating 84-inch hutch from the same collection for a two-piece entertainment wall unit. 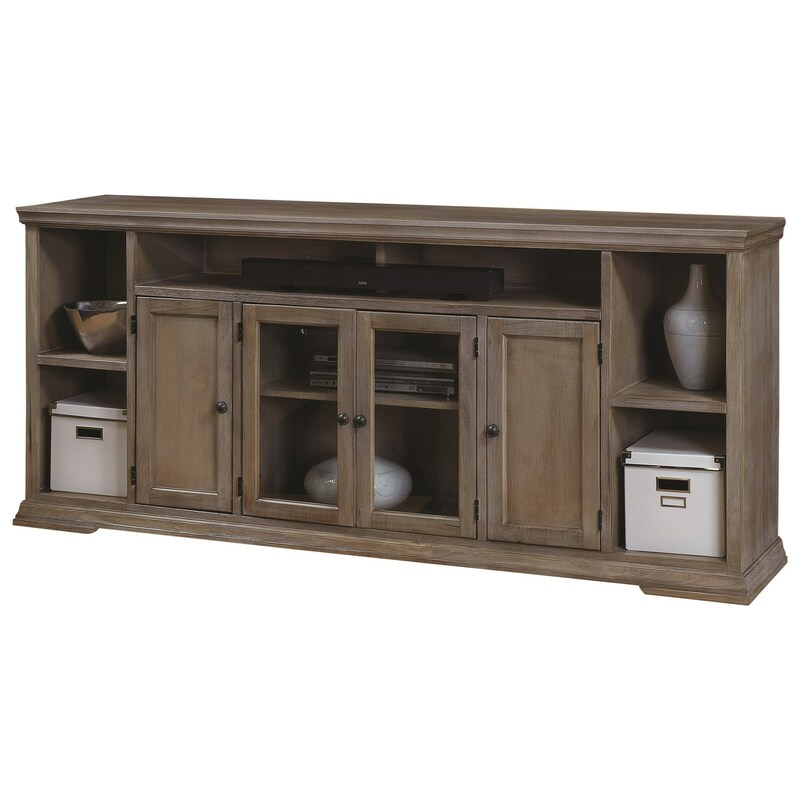 The Canyon Creek 84-Inch TV Console with 4 Doors and Open Shelf Storage by Aspenhome at HomeWorld Furniture in the Hawaii, Oahu, Hilo, Kona, Maui area. Product availability may vary. Contact us for the most current availability on this product.